칠장은 옻나무에서 채취하는 수액을 용도에 맞게 정제하여 기물에 칠하는 장인을 일컫는다. 우리나라에서 옻이 사용된 흔적은 기원전 3세기 경까지 거슬러 올라가지만 본격적인 유물이 출토된 것은 기원전 1세기 경부터이다. 낙랑시대에 발전된 칠기는 신라시대에 들어서 더욱 발전하였고, 고려시대에 들어와서는 나전과 결합되어 나전칠기라는 새로운 기법이 등장하기도 하였다. 조선시대에는 칠이 이전 시기보다 대중화되어 많은 칠기가 제작되었다. 국가에서도 전국의 옻나무 산지를 파악하여 여기에서 생산되는 옻칠을 공납받았으며, 서울과 지방에는 칠과 관련된 장인들이 주로 관청에 소속되어 활동하였다. 나무에서 채취한 칠은 정제 과정을 거쳐야만 용도에 맞게 활용이 가능하므로 칠장은 직접 칠을 정제하여 사용하였다. 칠은 정제를 통하여 옻액의 불순물 등을 제거하여 입자가 고운 칠로 변하게 된다. 그 방법은 생칠을 2∼3 시간 동안 고무레로 혼합하는 고무레질과 옻칠의 수분 합수율을 줄임으로써 붓자국 등이 생기지 않도록 하는 교반으로 나누어 진다. 칠공예품 칠은 완성되기까지 장시간이 필요하며 과정이 매우 복잡하다. 우선 칠을 하기 위한 기물이 필요한데, 이를 소지라고 한다. 소지 재료에는 가공하기 쉽고 칠 바름이 잘 되는 나무를 비롯한 대나무, 천, 종이, 흙, 금속 등을 사용한다. 칠하는 과정은 먼저 소지를 다듬은 후 생칠을 바르고 갈고 바르는 과정을 수차례한다. 그 후 다시 초칠, 중칠을 하며 건조시키고 다시 상칠을 한 후 광내기, 생칠을 반복적으로 하여 마감한다. 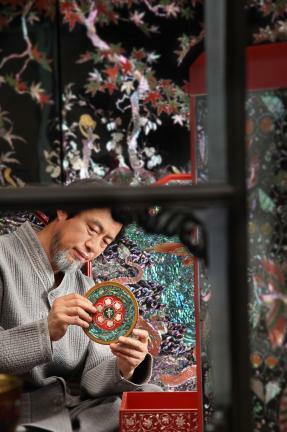 The term chiljang refers to the craftsman who creates lacquerware by applying lacquer -- or the refined sap of lacquer trees (Rhus verniciflua) -- to various objects. 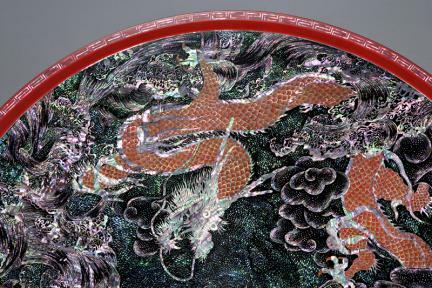 The first trace of lacquer use dates back to the third century BCE, but the earliest relics of lacquerware date back to the first century BCE. 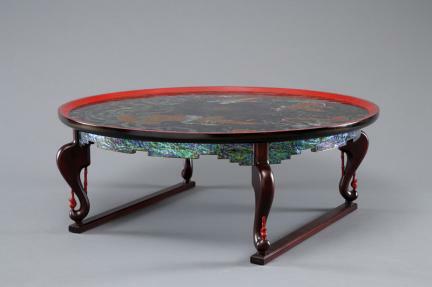 Lacquerware began to develop into an art form during the Nangnang (Lelang) Period and progressed further in the Silla Kingdom. 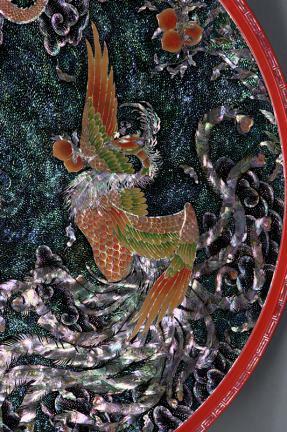 In the Goryeo Dynasty, lacquered works were decorated with mother-of-pearl inlay, creating a new art form called najeon chilgi. 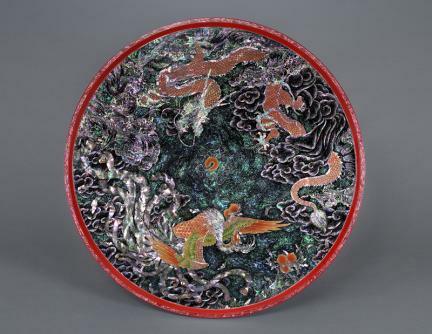 In the Joseon Dynasty, lacquerware became more common, and many works were produced. 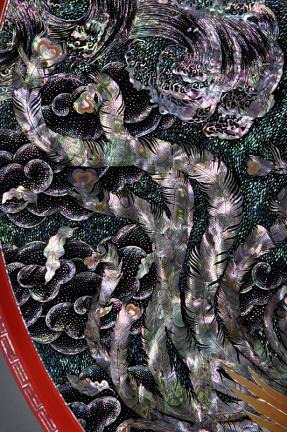 The state compiled data on the distribution of lacquer trees nationwide and collected the sap from these trees. 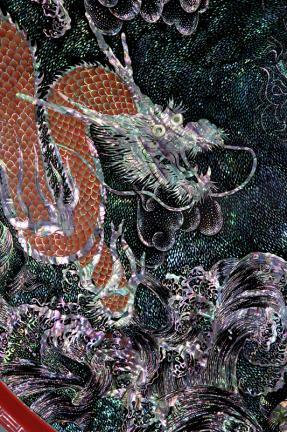 Lacquer craftsmen working in the capital and in the provinces were affiliated with their local government offices. 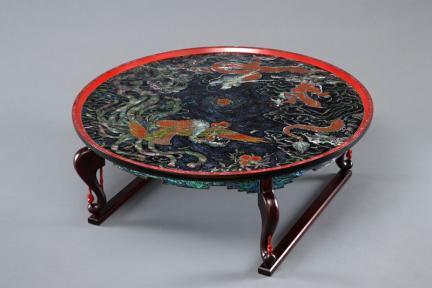 The raw lacquer from the trees had to be refined before it could be used, and lacquer craftsmen would do the refining themselves. The refining process removes impurities and creates a fine particle liquid. 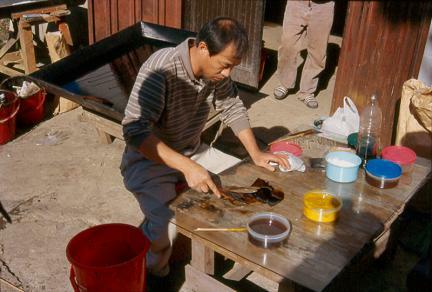 Creating lacquer works is a long, laborious process. 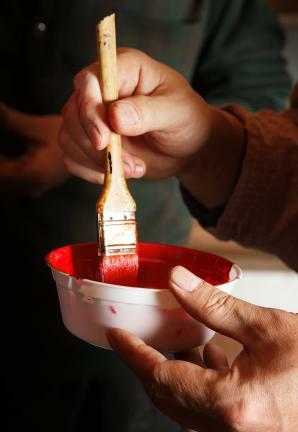 The item to be lacquered, called soji, had to be made of materials that are easy to work with and to paint, including wood, bamboo, cloth, paper, clay, and metal. 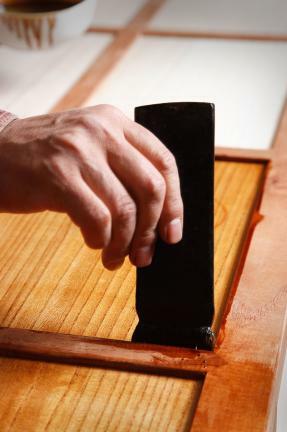 First the object is smoothed down, and then the lacquer is built up in many coats, requiring lacquering, smoothing, and drying over and over again. 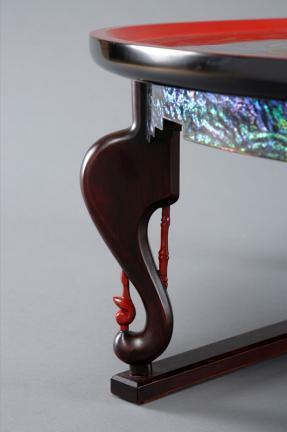 Basically, the process is divided into three steps: chochil (first lacquering), jungchil (middle lacquering), and sangchil (final lacquering). After the final coat, the object is vigorously polished.